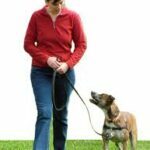 Share the post "Stop Puppy Barking – Restore Peace to Your Home"
Bringing your puppy home is a fun and exciting event, but sometimes a noisy puppy can make things intolerable so it’s important to know how to stop puppy barking. Little puppies are an adorable addition to your home, and there are many things pet owners need to do to raise a well-behaved puppy and dog. A puppy’s bad habits may be cute and tolerated early on, but these habits need to be corrected right away if you want to raise a well-behaved dog. One of the most common bad habits a puppy may have is excessive and uncontrolled barking. It’s important to figure out why your puppy is barking. Anxiety, fear, excitement, and general playfulness are just a few of the many reasons puppies bark uncontrollably. Addressing these causes is crucial to stop puppy barking. Asserting the upper hand through consistent and loving discipline must begin when the puppy enters the household – that is, if you want to retain your sanity and prevent headaches later on. Your puppy views you and your family as his pack and he will obey his pack leader. When a puppy obeys your command, he is acknowledging you as the pack leader. Maintaining the respect of your puppy is an important step to stop puppy barking. Let your puppy sleep near you in his crate or bed the first few nights to avoid separation anxiety. Expose the young puppy to life situations that could possibly cause anxiety later on. Let your puppy get used to walking on the sidewalk along a busy street. Familiarize him with noises like motorcycles, vacuum cleaners, hair dryers. Make sure that the puppy’s living environment is comfortable. Many experts recommend introducing your puppy to a crate where he can sleep. The crate serves as both a comfortable bed and a safe place when the puppy wants time alone in a busy household. Teach your puppy the basic commands, sit, stay, heel and no. Teaching your puppy basic commands will help you control many problem behaviors and also will prevent or stop puppy barking. Use a spray bottle as a disciplinary aid to stop your puppy from barking. A light spray in a barking puppy’s face will stun him enough to stop barking without hurting or scaring him. One short spray is sufficient. Use only plain cool water in the spray bottle. Bitter Apple spray, found in your local pet store can also be used for this spray. A noise maker can also help stop puppy barking. Create a noise maker by filling a coffee can with a few coins and sealing the opening of the can. To stop your puppy from barking, rattle the can near his head and firmly say “no”. The puppy dislikes the noise and will begin to associate it negatively with barking. 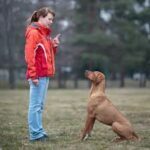 For busy pet owners, formal obedience training can help instill proper behavior. Puppy classes are very beneficial as dogs learn basic commands and how to socialize with people and other dogs. Formal obedience training classes may be to costly for the average pet owner. 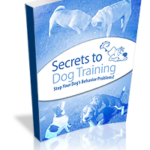 I highly recommend downloading Secrets to Dog Training which contains videos and downloadable ebook taking you step by step through your dog’s training process.